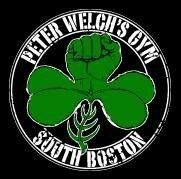 The Peter Welch’s Gym fighter conditioning workouts are challenging and varied at all times so you never know what you’ll be doing that day. They not only give you superior workouts, their trainers provide the motivation you can count on to achieve amazing results. There are no upcoming “Introduction To Fighter Conditioning” classes on this day. Great workout, especially since they encourage everyone to go at 65-70% and pace themselves throughout. Intro section is 20 minutes of coaching/prep and then you stay for the next hour of Fighter Conditioning. Staff were very hands-off/almost disengaged. Intro was super helpful as it was my first time at the gym and only 2nd time boxing. He gave great advice around how to pace myself and stuck around while I the took the class in case I needed any additional guidance. Great people. Very friendly. Reviewed the basics before we took the full conditioning class. Tim then hung around and helped us newbies through the class. Best class I've been to! Great class! Eric did a wonderful intro that helped set up the class to make us newbies feel comfortable. The class itself was intense and we left very sweaty. Will take again!